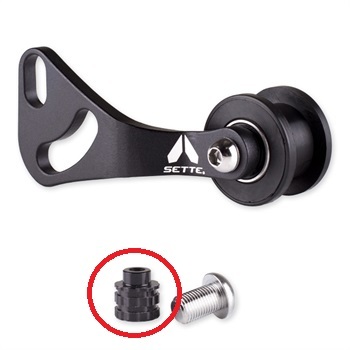 Is anybody using the rigid Sette tensioner? I understand this is a stupid question but what is the little black bit for? Not the tensioner arm itself but there's a nut or something included in the pics (I haven't ordered it yet so I don't actually have one). 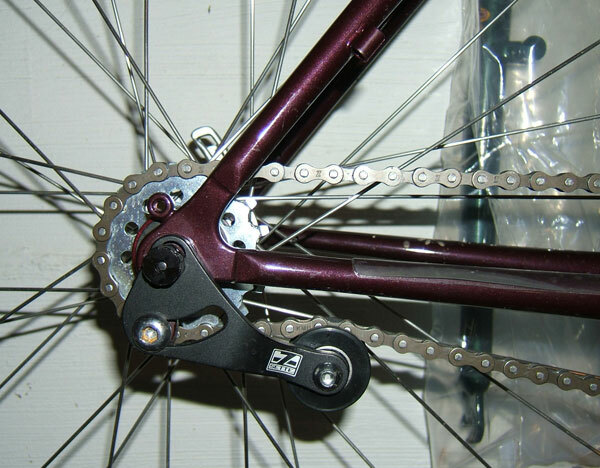 I checked out some pics and it looks like it replaces the threaded end of the QR in the dropout, but I don't understand why it's necessary. I'm looking at one for a cheap SS conversion and I'm not sure what the little black bit is for. I don't want to waste my time if for any reason this wouldn't fit a standard vertical dropout. It replaces the standard nut on the skewer and is what the tensioner pivots on, it's locked in place with the bolt that that fits the rear mech hanger. I'm sure I used a regular quick release for some time with my Rennen tensioner which looks otherwise a very similar design. Now I have wheels that bolt on.